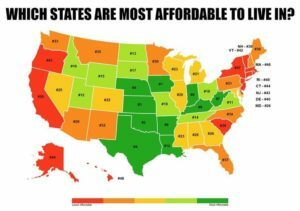 Put another way if you earn $100,000 in Massachusetts where the average price of a home is $208 per square feet, so a 2,000 square foot home is $ 416,000 and you are also in the top 10 states for median income taxes, sales taxes and real estate taxes paid per person. Should you pay the same tax on that $100,000 that someone in Iowa where the average price of a home is $ 109 per square feet, so a 2,000 square foot home is $ 280,000 and median income taxes and real estate taxes are much much lower as well. http://stocksandtaxes.com/wp-content/uploads/2017/06/logo-1.png 0 0 admin1 http://stocksandtaxes.com/wp-content/uploads/2017/06/logo-1.png admin12017-11-15 14:35:462017-11-15 14:35:46Should Federal Income Tax brackets be adjusted for regional cost of living?